On Feb 23, researchers and writers from the Nanyang Culture Research Institute traveled to Shenzhen, Zhuhai, and Guangzhou to carry out a study on successful Nanyang natives. Nanyang began construction on its first quarter warehouse and logistics projects at the Opto-Electronics Industry Cluster in Wolong district, Nanyang, Henan on Feb 23. 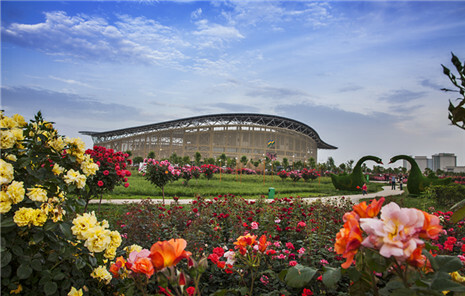 Various flowers have begun to bloom as spring approaches in Nanyang, Henan province. Locals are eager to step outside and enjoy the beautiful scenery. Mountains in Henan province are glistening with white snow, and Nanyang locals can't wait to go enjoy some ice and snow sports. 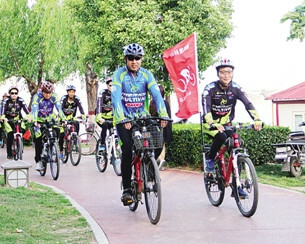 Exercise is becoming increasingly common in the daily lives of the people of Nanyang, Henan province. In 2018, Nanyang saw steady economic growth and ranked third in Henan province with a GDP reaching 356.68 billion yuan ($52.79 billion), up 7.2 percent year on year, according to the local statistics bureau.